John J. Mullen (1855?-1914?) was a plumber in New York City from 1882 to 1914. In 1891 he was described as follows in History and Commerce of New York, 1891, Second Edition, Published by American Publishing and Engraving Co., Nos. 149 & 151 Church Street, New York: "John J. Mullen, Practical Plumber and Gas Fitter, No. 17 E. Seventeenth Street. - One of the leading houses which is fully abreast of the times in all scientific improvements in plumbing and gas fitting is that of Mr. John J. Mullen. Mr. Mullen has been established in business here for twelve years, he having started on Clinton Street and removed to his present location five years ago, where he has a store and shop 20 x 100 feet in dimensions, and fitted up with all the machinery and appliances known to the trade. Mr. Mullen undertakes plumbing contracts of any magnitude and also attends promptly and at moderate prices to all orders for jobbing. He makes a specialty of sanitary work, and has permanent contracts to look after the plumbing in the large apartment houses at Nos. 27 and 29 W. Eleventh Street, Fifty-ninth Street and Ninth Avenue, No 51 Willard Street, and many others of the same kind. He has just completed a $15,000 contract. He has had twenty-three years' practical experience in this line and has achieved an enviable reputation for reliability, promptness and skill, employing from fifteen to twenty skilled hands. Mr. Mullen is a native of New York and a prominent and popular member of the Master Plumbers' Association." Mullen's business address was 17 East 17th St. from 1888 to 1897. He moved to 744-748 Lexington Ave. in 1897 and stayed there until 1903 when he moved to 420 East 84th St.
Mullen appears in the 1900 and 1910 U. S. Census reports and in the 1905 New York State Census living at 420 East 84th St. The 1900 Census says that he was 45 years old, that he was born in Ireland November 1855 and that he emigrated to the U. S. in 1865. The 1905 census says he was a native born American citizen and that he was 47 years old. The 1910 census records him as age 53, born Ireland, emigrated 1859. 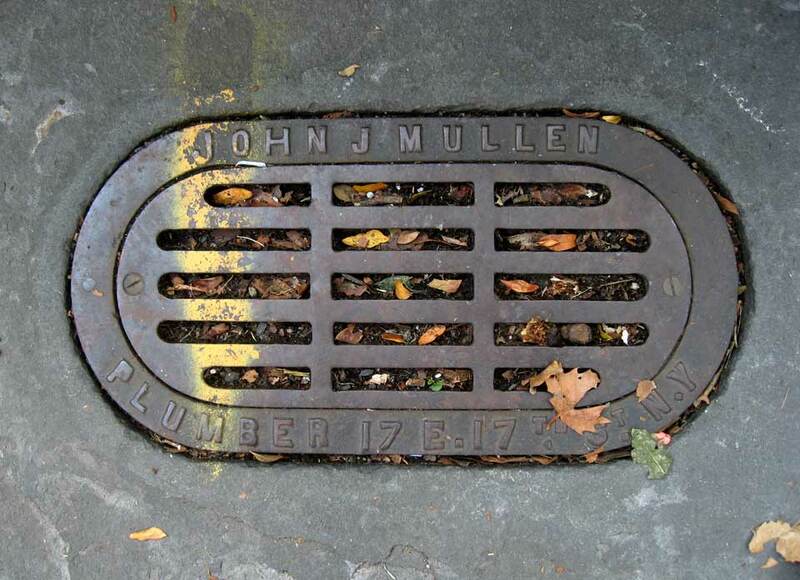 Directories listed John J. Mullen, Plumber, at 420 East 84th Street from 1903 to 1914. The New York telephone directory continued to list Mrs. J. J. Mullen at this address until 1932. The indication is, then, that Mullen died around 1914.